Understanding and predicting global climate change is arguably the most complex scientific challenge ever faced by mankind. The climate system consists of many interacting components, forming a highly nonlinear system of enormous complexity. Almost everything that has been proposed to affect climate—from microscopic aerosol particles to greenhouse gases to plankton to sea ice — seems to be important, so that the climate system does not appear to be dominated by a manageably small number of essential processes. Faced with this problem, efforts to simulate and predict climate are now largely based on the construction of complex computer models that reflect as accurately as possible the complexity of the real world. But the importance of climate change requires more than simulation and prediction; it requires improved understanding about how the Earth “system” works. If we fail to better understand the underlying system, we risk major errors in the prediction itself. To address this problem, we suggest a renewed emphasis on fundamental questions. Surely the climate system is not so complicated that the only path to progress would be to create a digital world comprising each and every detail of the real world. After all, the laws of physics apply; stoichiometric balances cannot be violated; and modern research in ecology suggests that such physical and chemical constraints have profound consequences. Perhaps more convincingly, the regularity of many climate fluctuations in the geologic past suggests that the system can be understood without excessive complication. But how so? We do not know, but we do know how to find out: by creating a new approach to climate science. 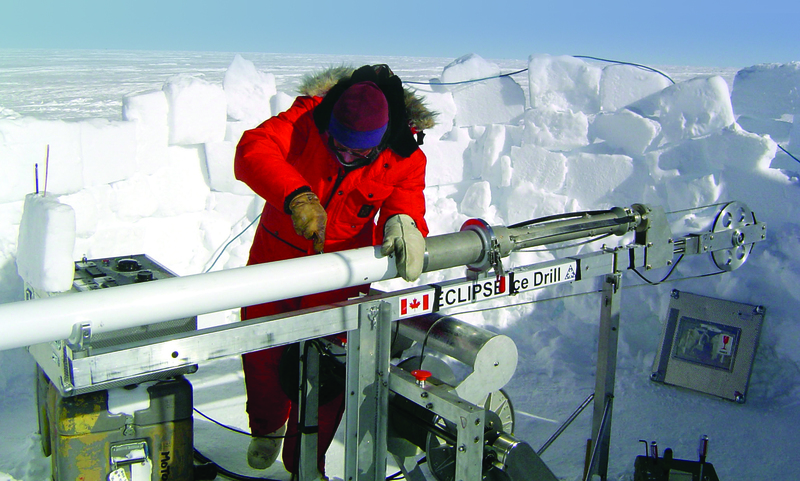 A researcher works with an ice core drill during the 2003 Antarctic Megadunes expedition. Photo courtesy of Ted Scambos & Rob Bauer, supplied by the National Snow and Ice Data Center, University of Colorado – Boulder. We believe that the most important step in creating a new science of climate is to tap into a pool of talent that is much larger than the pool from which today’s graduate students and postdoctoral fellows are drawn. There is no lack of students interested in improving the world through climate science, and we already attract outstanding people. However, given the size of the challenge, there is a shortage of students with the backgrounds in physics, mathematics, chemistry, and biology that are desperately needed to advance theoretical understanding. At the same time, many very talented science students are understandably turned off by the existing state of climate science, which they perceive as intellectually uninteresting exercises in computer modeling rather than the pursuit of fundamental knowledge. To attract these students and young scientists, we need to portray climate science as the fascinating and hugely challenging scientific problem that it inherently is, and to provide them with a stimulating and rewarding environment in which to work. We need to make it not only possible, but desirable to explore completely new approaches to the problem; to take different tacks from the business-as-usual approach based on complex climate models. Our idea, simply put, is both to attract the very best minds to climate science and to give them free reign to think creatively, unsaddled by the pressing practical demands of climate forecasting. Are two or more statistically stable climate states possible for the same climate forcing (solar radiation, atmospheric composition, configuration of continents)? This is a problem of great inherent intellectual interest and potentially enormous practical consequences as well. At present, we do not know whether the real climate has multiple equilibrium states. Why do CO2 and temperature covary as they do in glacial cycles? This striking relationship provides a fascinating window into the general problem of the control of atmospheric CO2 and the carbon cycle, but we do not understand it. A related question is why CO2 has been generally in decline over the past few hundred million years of earth history. 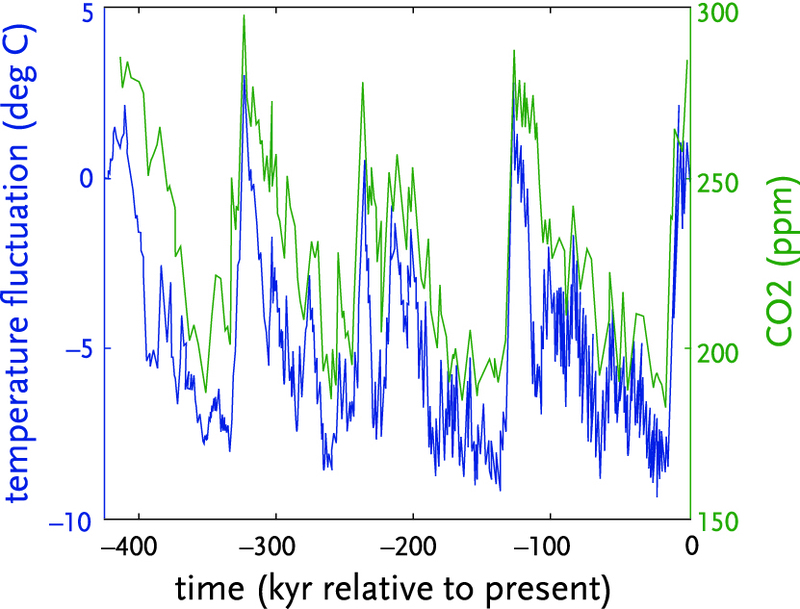 What accounts for the apparent long-term stability of biogeochemical cycles? We are only beginning to understand the complex interaction of climate, chemistry, and biology, and it is not obvious that the known cycles are stable. Nor do we know the precise conditions under which they could become unstable. What causes the deep meridional overturning of the ocean? The ocean transports roughly half as much heat from equatorial regions toward the poles as does the atmosphere, yet the fundamental physics of the circulation are still not understood. After a century of work, scientists still find a comprehensive explanation of this circulation elusive, and the physics of this critical component of the climate system are not thought to be well represented in climate models. This is just one respect in which large-scale, complex modeling has proceeded without a clear understanding of the underlying physics, perhaps at its peril. Fluctuations in temperature and atmospheric carbon dioxide concentration in Antarctica for the last 420,000 years, obtained by analysis of the Vostok ice core [J.R. Petit et al, Nature, (1999)]. The unequivocal covariation of the two records provides a fascinating window into the relation of Earth’s carbon cycle to climate, yet its explanation remains one of the great unsolved problems of earth science. If we could imagine how the best minds in science an interdisciplinary group of highly imaginative scientists would approach challenges like these, such questions, we would not need to write this proposal. But we do know that breakthroughs in other disciplines often come from left field—from wholly different disciplines and approaches. A particularly challenging aspect of the climate system is its combination of variability and structure, hallmarks of what are now called “complex systems.” While studies of such systems have not led to a science of complexity, they have revealed certain commonalities: extreme events, long-tailed non-Gaussian fluctuations, intermittency, emergence of extraordinary complexity from simple interactions, and a tendency of many such systems to exist in marginally stable states. Fundamental studies of the common features in such systems are at the vanguard of modern scientific research, yet they have played little role in modern climate science. These, or other approaches we have not imagined, may lead to rapid advances in our understanding of and ability to predict climate. To better attract to the field the best scientists, capable of wholly innovative approaches, we must break with the intellectual and, to some extent, institutional culture that presently dominates climate science. To this end, we propose to establish at MIT an advanced climate research center devoted to fundamental inquiry. 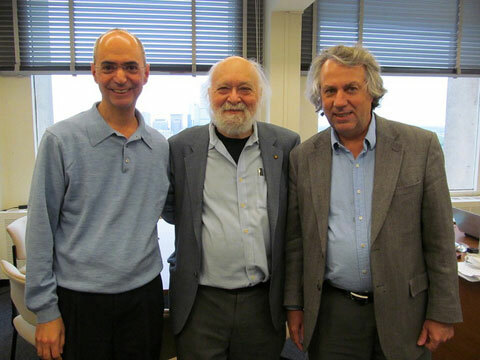 We suggest that this new initiative be named the Lorenz Center after the late Edward N. Lorenz, the founder of modern chaos theory and an early contributor to theoretical climate science. Lorenz, a member of MIT’s faculty and a presence for over six decades, epitomized the qualities we seek: extraordinary creativity focused on fundamental aspects of natural phenomena. His work on chaos laid the foundation for one of the twentieth century’s greatest scientific advances. The center that bears his name would seek a similar impact in the twenty-first. The Lorenz Center would provide a small number of exceptional scientists with the freedom and resources to follow innovative high-risk paths toward a fundamental understanding of the mechanisms that influence Earth’s climate. Emphasis would be on developing new theory and, equally important, reconciling it with observations. We stress that our main objective is not to provide more resources for what we already do. Instead we seek an institutional structure that will fundamentally change the culture of climate science. The idea is to restore theory to its proper role: predicting and explaining the outcome of observations and experiments. Indeed we use the term “theory” broadly, so that it includes any set of ideas, concepts, or methods that lead to a greater understanding of observed or observable phenomena. During the genesis of geophysical fluid dynamics in the mid-20th century, the development of predictive theory was a difficult yet relatively straightforward task. The complexity of the climate system requires a new approach. Although we cannot specify the details of this new science, we are thoroughly confident about how to foster it. First, we need to provide an intellectual home for outstanding scientists in physics, applied mathematics, chemistry, biology, and earth science interested in applying their skills to the climate problem. Second, we need to connect theoreticians with leading observationalists and experimentalists. The crucial third step is to create an institutional culture that accords its highest values to science that quantitatively predicts or explains observations and experiments. These ingredients are in many ways obvious. However, there are currently entire sub-disciplines of climate science, such as biogeochemistry, where observation is strong but predictive theory is not accorded much significance. Yet no one would deny the central role biogeochemistry plays in the climate problem. The core of the Lorenz Center would be its faculty and post-doctoral fellows, selected not only for their exceptional accomplishments but also for their interest in pursuing fundamental questions in an interdisciplinary, collaborative context. Post-doctoral fellows would be outstanding recent graduates in physics, applied mathematics, biology, chemistry, and earth science. It is our hope that the Lorenz Center’s endowment would support these top scientists, freeing them from the necessity of seeking funding from traditional sources. We also envision visiting positions for senior scientists. 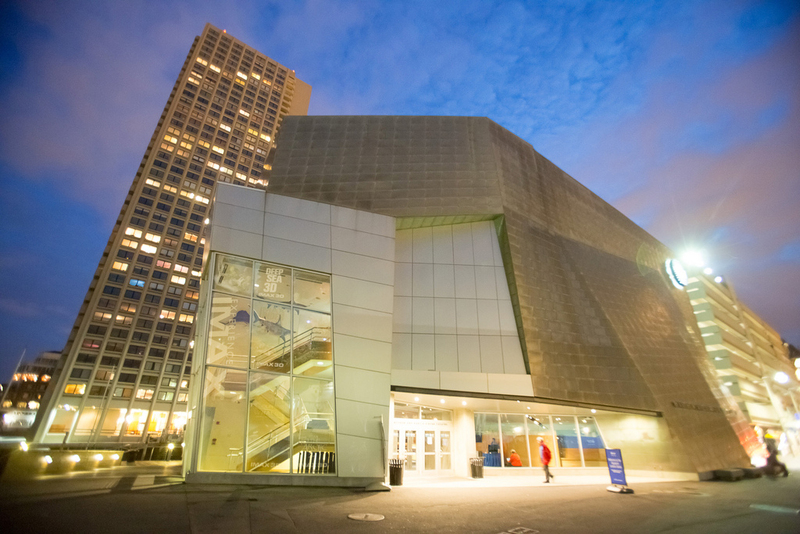 These short-term appointments would be used in large part to bring observationalists and experimentalists to the Lorenz Center, where they would communicate their most recent findings and explore ways in which they could work with resident scientists. In this way we would expect that the Lorenz Center would not only be the leading center for climate theory, but would also be a positive influence on observational and experimental research. In addition to an energetic, interdisciplinary core of top scientists, the Lorenz Center would offer multi-year scholarships to attract top graduate students. Prospective graduate fellows would have to meet very high standards to qualify for such fellowships, in addition to the already high admissions standards of MIT. The availability of such fellowships would be advertised in many non-traditional venues, such as physics and mathematics departments abroad, and the prestige attached to them and the opportunity to work with the finest climate scientists in the world would serve to attract the very best talent. We would also institute a vigorous seminar series, to communicate ongoing research internally and externally to scientists at MIT and in the greater Boston area. An annual public lecture would serve to showcase fundamental research in climate science to an even broader community. An important second objective of the seminar and lecture series would be to increase the visibility of the Lorenz Center in the international scientific community, thereby helping to attract the most talented graduate students, postdocs, and visitors. Towards this end, we would also initiate a series of summer schools, advertised widely and open to promising young scientists throughout the world. 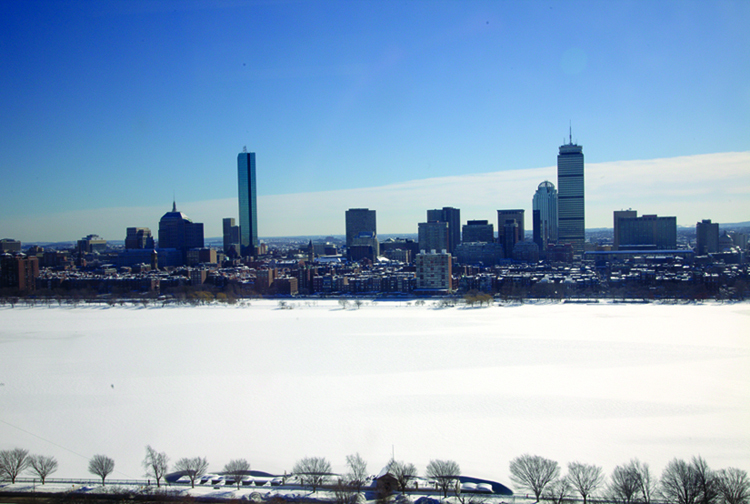 MIT’s Department of Earth, Atmospheric, and Planetary Sciences (EAPS) has graciously agreed to set aside space for the nascent Lorenz Center on the top floor of MIT’s Green Building, with occupancy beginning in January 2011. This initial location is ideal for starting up: it is adjacent to the Program on Atmospheres, Oceans and Climate, within the same building as most of EAPS, and centrally located to facilitate affiliations with students and faculty from allied scientific disciplines. To help us grow and to provide long-term financial support, MIT’s School of Science is seeking to raise an endowment from private donors. Private donations are crucial, because the Lorenz Center’s emphasis on innovative, high-risk, fundamental research makes it difficult to procure conventional government funding. Moreover, in fields like biogeochemistry and studies of ancient climate, funding is directed almost exclusively to measurements, observations, and the construction of past environmental records. Such work is immensely important, but it requires the parallel development of theoretical understanding for the acquired data to become useful information. The view from the south side of the 18th floor of Building 54: The home of the Lorenz Center. The Lorenz Center will nicely complement ongoing and proposed climate-related organizations at MIT. Not only will it be closely tied to existing academic programs in climate science and earth science more generally, but it’s work will also complement and potentially infirm activities of the Climate Modeling Initiative, the Center for Global Change Science, and the Joint Program on the Science and Policy of Global Change, thus helping carry new climate concepts into the broader community concerned about global change. Together these programs would form a Climate Hub and fulfill several of the objectives for environmental research proposed by MIT’s Environmental Research Council. We stress that the Lorenz Center would focus on the enormous intellectual challenge of understanding the physics, biology, and chemistry of the climate system. We believe that it would rapidly become the world’s pre-eminent organization for the study of the climate system, posed as a curiosity-driven intellectual challenge, and attain a reputation for scientific excellence exceeded by none. Perhaps ironically, such a center may stand the best chance of solving what may be the greatest practical challenge of our generation. The New England Aquarium, venue for the annual John Carlson Lectures.